This is the history of the brand Peel since the establishment of the company and up to the most modern of vehicles produced under this brand. We have collected the best classic cars in our catalogue. In addition, if you're going to buy one - just check the latest Peel listings. Peel Engineering Company is a production company that was based in the Isle of man (UK) and was mainly involved in production of boats and submarines from the fiberglasa and fairings for motorcycles. They are responsible for the appearance on our planet such cars as a Peel P50 and Peel Trident, which more correctly be called "motokolyaskami". In addition, the company has been manufacturing model Peel Viking Sport (built 25 cars) and a prototype GRP Minis for the British Motor Corporation. All of these cars were produced by the factory Peel Engineering in the Isle of man, which was closed in 1969. 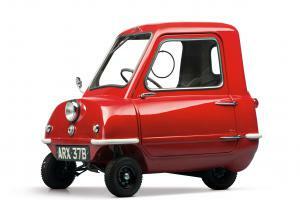 Peel P50 and to this day still bears the Guinness record as the smallest production car in the world. 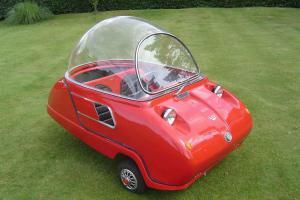 The company Peel Engineering ceased to exist in 1974.